Shahid Shafi, an India-born Republican facing removal as party vice chair for being a Muslim, will remain in office as his party officials have overwhelmingly slapped down a motion to oust him from the post of vice chairman. 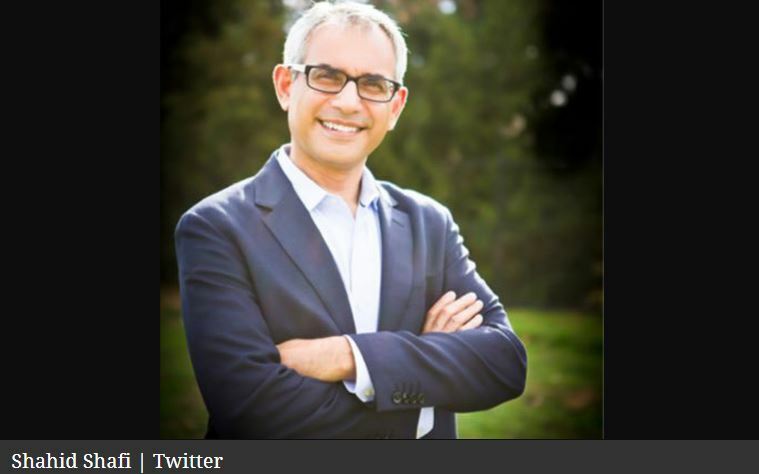 The Tarrant County Republican Party rejected the motion to strip Shafi, a trauma surgeon and member of the Southlake City Council, at a contentious meeting on Thursday. The committee voted 139-49 in favour of Shafi, with 10 abstentions, Washington-based news website The Daily Caller reported. “This vote reaffirms the commitment by a majority of Tarrant County Republicans to our core values and moral compass, a demonstration of our allegiance to the Texas Republican Party Platform and the Constitutions of the United States and Texas, which strictly prohibit religious and racial discrimination of any kind,” Tarrant County Party Chairman Darl Easton said. Shafi said he was “honoured and privileged to receive the support of my fellow Republicans” and emphasised that he held no ill will towards those who voted against him. A small but vocal minority of the county’s 269 precinct chairs was behind the push to remove Shafi from his leadership position. Shafi received an outpouring of support from Republicans across the state, including from Republican Texas Governor Greg Abbott and Texas Land Commissioner George P Bush, leading up to the vote. Shafi, born in India and raised in Pakistan, travelled to the US to study medicine. He became a naturalised citizen in 2009 and, since then, has been involved with the Republican Party. “Religious litmus tests are wrong, whether they occur in my party or whether its Democratic Senators who have questioned Catholic judges’ ability to be unbiased. What matters is a person’s character, judgment and values. Shahid Shafi has all three,” Bush said on Twitter. Shafi was appointed to the position in July with overwhelming support from Republicans in Tarrant County, which is Texas’ third-largest county in terms of population. A sole precinct chair Dorrie O’Brien opposed Shafi at that time and tried to whip up opposition for him in the six months since then. O’Brien cited the Muslim doctor’s faith as her reason for opposing him in a Facebook post last month. “We don’t think he’s suitable as a practising Muslim to be vice chair because he’d be the representative for ALL Republicans in Tarrant County, and not ALL Republicans in Tarrant County think Islam is safe or acceptable in the US, in Tarrant County, and in the TCGOP, and there are big questions surrounding exactly where Shafi’s loyalties lie vis a vis Democrat and Republican policies,” she wrote. In a January 4 Facebook post, she falsely accused Shafi of having ties to the Muslim Brotherhood. Another precinct chair James Scott Trimm wrote Tuesday on Facebook he would vote against Shafi because he “refused to renounce and repudiate” an endorsement from the Council on American-Islamic Relations (CAIR). Shafi denied any ties to CAIR. In an open letter, he wrote that he believed “much of the hate against Muslims is driven by a fear of terrorism”, he said. “Here are the facts. I have never had any association with the Muslim Brotherhood nor (the Council on American-Islamic Relations) nor any terrorist organisation,” he wrote. “I believe that the laws of our nation are our Constitution and the laws passed by our elected legislatures I have never promoted any form of Sharia Law. I fully support and believe in American Laws for American Courts. I am honoured to be an American and a Republican,” he was quoted as saying by The Texas Tribune.